Before we begin modeling and prototyping our designs, we’ll review several foundational concepts that will help us anticipate necessary modifications to our designs, during the engineering and manufacturing phases. By understanding how designs are both made and assembled, we can create better designs from the start. In this course, we explore the core concepts behind Fusion 360 CAD/CAM through a series of lectures and hands on exercises to set you on a path toward success. Good for learn ,specially due to subtitles but we required a very strong connection for this course ,why we don't know it.It is good for one who is interested in product design enginnering. For being designing the product we required the different methods like analysis ,concept and synthesis so this course very well explained this.But there is the direct implementations of some concepts hence one can get confused but we required good attention for the course.Also the basic concepts,applications should be clear in order to design the effective product.This course helps for the beginners .But the one who has the poor internet connection he can't access the videos easily. But this is good at all. Recommended for all students. Explain the course overview and learning objectives. Download and install Fusion 360. What is Fusion 360? In this lesson, you are introduced to Fusion 360, a cloud based CAD/CAM tool for collaborative product development that combines industrial design, mechanical engineering and machining into one software solution. 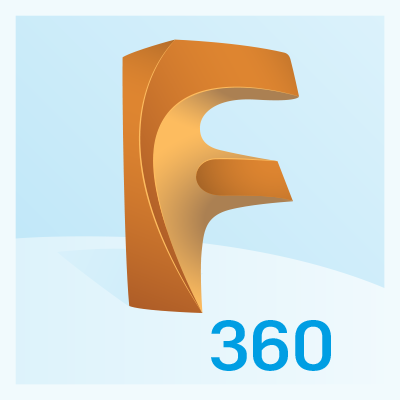 Whether you are coming to Fusion 360 from Tinkercad or another CAD package, this series of lectures will guide you through the first steps of learning to use Fusion 360. Best of all, the software is free to institutions, educators, students and hobbyists, and is available for both Mac and PC users. Describe Fusion 360 CAD/CAM software. ​Explain key differences in design workflow to Fusion 360 from Tinkercad. ​Explain key differences in design workflow to Fusion 360 from Solidworks. Free Autodesk software and/or cloud-based services are subject to acceptance of and compliance with the terms and conditions of the software license agreement or terms of service that accompany such software or cloud-based services. Software and cloud-based services subject to an Educational license may be used solely for Educational Purposes and shall not be used for commercial, professional or any other for-profit purposes. Step 1: What is Fusion 360? Knowing the Fusion 360 file structure is the first step in navigating the software. Understanding where your data is stored, setting preferences, file import and export, and opening and closing a file are covered in this lesson to ensure you get started correctly. Open, close and save a file using the Data panel. Share the project with another user. Step 1: Where's my data? The user interface is the area where you interact with Fusion 360. It has many components, including the Application Bar, Toolbar, ViewCube, and Timeline. Each of these components manages or gives you access to various tools in Fusion 360.
Review the toolbox in the Model workspace. Fusion 360 gives you all the sketch-based parametric modeling tools you could ever want. It also give you direct editing tools. These tools keep modeling references and links based on how parts are modeled, when features are added, and how they are related to other faces/features. In addition, Fusion 360 allows you to turn off history capture. This allows you to quickly make concepts, test out design ideas, or just work in your own way. Review bodies and components in the browser. Turn Capture History on and off. Use direct editing to modify a design. Fusion 360 provides a number of methods for collaboration with other users. You can invite unlimited team members to your projects, keep track of versions, and view the work of others through a live activity feed. You also can keep track of progress and team activities via the A360 Team application in your web browser. Use the Live Review preview to collaborate with other users. Use Fusion Team to manage members access to a project. Now that you have completed the learning material in the Foundational Concepts course, complete the challenge assignments to put the skills learned into practice. Make sure to download the course resources for any required Fusion 360 datasets. Congratulations, you have completed the Foundational Concepts course. Take the course assessment to showcase your knowledge by demonstrating your expertise, and seeing where you need more practice before moving onto more courses in Fusion 360.